This album is Jessica Vosk at her FINEST! I could write a long winded review. But sometimes less is more. When the ears and heart are full of musical, vocal magic, that’s all you need to say. GET THIS ALBUM! She has kept all of her loyal fans up to date about this amazing album! I have been such a huge fan ever since she came to Cincinnati on the Broadway tour of Wicked! Follow her on Instagram. She is hilarious and she will brighten your day. And her voice is top notch! This album is 100% AMAZING AND FULL OF PURE RAW TALENT! Each song is perfect, with beautiful vocals and hits your soul so hard you get goose bumps and cry. 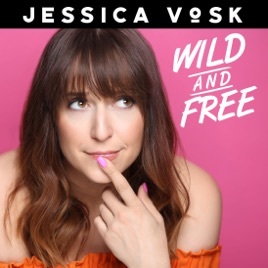 Jessica Vosk is awesome, and you can tell her whole heart went into this album. DEFINITELY PURCHASE THE ALBUM, YOU WILL NOT REGRET A THING.